This month I have a story called, 'The Girl in the Striped Sundress' (with a great illustration by Martin Baines) in The People's Friend Summer Special. The inspiration behind it is interesting and also very spooky! A while back, I read an article in The Telegraph titled, The Mystery of the Blackpool Belles. It showed a photograph taken in 1951 of two girls sitting on some railings on the seafront in Blackpool. One of the girls was wearing a spotted sundress and this iconic image has been reproduced on postcards, books and magazines since then. Apparently, for years nobody knew who these two girls were until, a few years ago, a lady called Norma Edmondson came forward to say that one of the girls in the photo was herself. She identified her friend, Alice Sumner, as her mystery companion. First reported in the local press, the national press soon got hold of the story and Norma became a minor celebrity. Case solved... or was it? The only problem with this story, according to the article, was that Norma could not remember the exact moment the photograph had been taken. Then came a further twist to the story - following Mrs Edmondson's appearance on television, another lady,Pat Stewart, came forward to say that she was the lady in the spotted sundress and had evidence to prove it. When I read this story, I loved it immediately and decided that I wanted to write some fiction revolving around it. 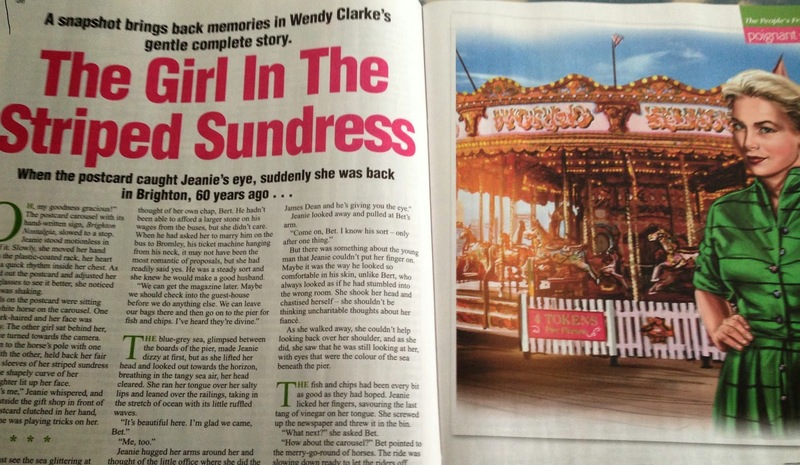 This resulted in my story 'The Girl in the Striped Sundress' which is about an elderly lady who sees a picture of herself on a seaside postcard which brings back memories of the young woman she used to be - at the crossroads of her life. The People's Friend really liked the story but it wasn't until after it was published that I read the original article again, more closely this time, and you won't believe what I found. Pat Stewart gave the name of the friend who was in the photograph with her and do you know what her name was? You can read the full Telegraph article, 'The Mystery of the Blackpool Belles' and view the postcard, here. I had a lovely email from a lady called Nicola recently telling me that she liked one of my stories in Fiction Feast (always a lovely thing to read). It's great to have correspondence with people who have found my blog useful or inspirational and so I was pleased to hear how a recent assignment of hers has been deemed ready for publication. Despite this success, though, Nicola told me she had been hitting walls of self doubt and asked for some advice. The odd thing was that while thinking about my reply I saw a Facebook post that was so inspirational in itself that I just had to ask the owner of that quote, Tim Bowler, if I could use it on my blog - to help others who are grappling with their gremlins. I've always found self-doubt a strange nomadic creature: a kind of hobo who pitches his tent outside the back door and never quite moves on. Even when the muse turns up on time, he's whittling a stick nearby, yet I'm deeply fond of him and always have been. He may be a little unwashed and he certainly eats too much of my food, but he has virtues. He grounds me, challenges me, makes me fight for my story. So, welcome, friend, stay as long as you want. You make me stronger. Tim has written twenty books for teenagers and won fifteen awards, including the prestigious Carnegie Medal. 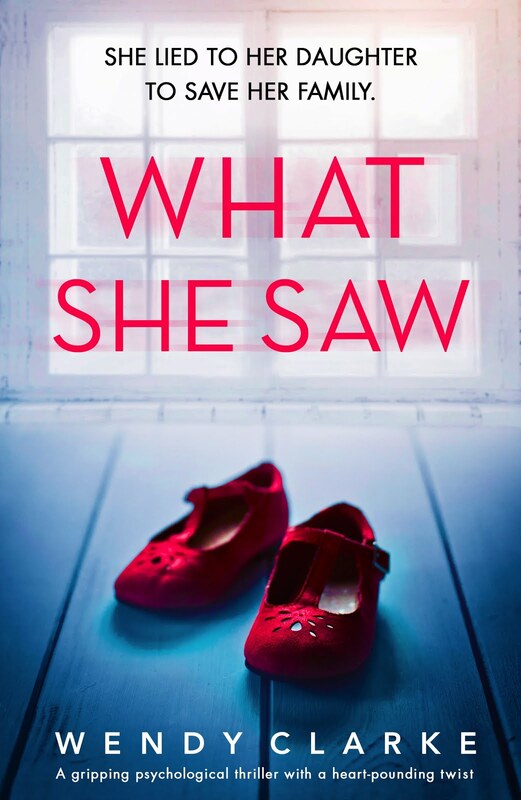 He has been described by the Sunday Telegraph as ‘the master of the psychological thriller’ and by the Independent as ‘one of the truly individual voices in British teenage fiction’. His books have sold over a million copies worldwide. So now I'm a bit embarrassed that I didn't know who he was... Sorry Tim! But your words have hopefully helped Nicola and they'll certainly help me next time self doubt creeps in. If you are a magazine writer, you know how it goes. You'll have a week of sales and then one of rejections. Then you'll have nothing in a magazine only to find that the following week you have six stories in four of them - which is what happened to me last week. One of the stories in The People's Friend Special is written under my pen-name Emma Toone... but more of that another time. I think that due to the uncertainty of what we do, we should remember to celebrate the feast as well as mourning the famine and so today, this is what I shall be doing - in case it never happens again! The inspiration behind this story, is a short holiday I had in Charmouth, in Dorset, with my children. My eldest daughter was around twelve and my youngest eight. We had a cottage in the village and spent the days on the beach, fossil hunting. I can still remember the look of boredom on the eldest's face when we arrived at the beach. She was at the age where she was aware of her looks and it had been a fight to get her to wear wellies and a raincoat. As we started to hunt for ammonites, a cold wind began to blow and I must admit, I wasn't sure whether we'd find anything before having to escape the inevitable storm that was approaching. Then, I heard a shout and turning round, saw my eldest holding something up to the sky. When we got there, we saw she had found a perfect ammonite of fool's gold. After that first find, she forgot her hair and make up and even donned a woolly hat as she searched for more fossils and I was able to see the little girl hiding inside the one so desperate to grow up. Several hours later, cold, wet and tired, we sheltered in the Heritage Centre with its fossil display and little shop and looked at our treasures. The girl, Kelly, in my story, is just like my daughter (although a little older) and her story is a sad one (albeit with a happy ending). 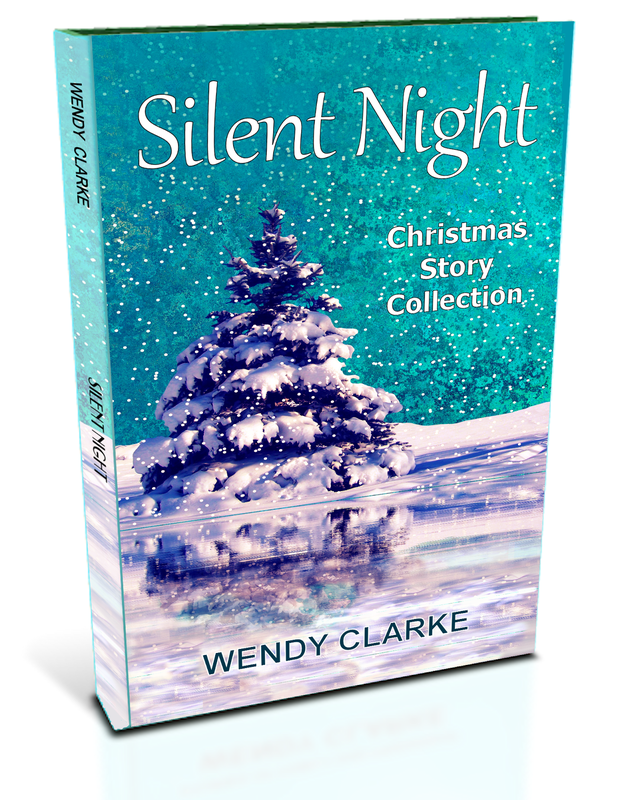 This coming of age story was a very poignant one for me to write, with familiar characters, settings and themes (although the story itself was fictional) and I was thrilled to read that Keep it Forever, Mummy was magazine editor Margaret's favourite story. I shall be sharing the inspiration behind some of my other stories very soon. On Sunday, Karen Aldous wrote us a great guest post on the RNA New Writers' Scheme and it proved to be a big hit with my readers. If you missed it here is the link. Today, as promised, Karen is back to tell us how the scheme helped her to fulfil her dream of becoming a published author. 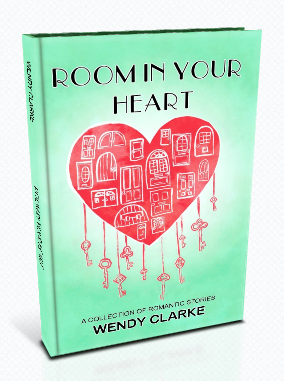 So, getting back to my path to publication, although I had been intending to complete a novel for the bulk of my adult life, like many women, children take over your life and your own dreams get put on the back burner. I had, however, kept writing on and off but binned much of it. Then, just three years ago, my mother was diagnosed with that dreadful disease none of us like to mention and, my perspective changed. It made me realise that none of us know what’s around the corner. I had to try to fulfil my dream…the novel in my head finally began to get put down on my computer. I had read about the RNA NWS in the Writing Magazine/Writer’s News - a magazine I’d been subscribing to since 1983. So it had been in my mind for a few years to join. I checked the latest criteria details on their website, and saw that the application process was, for the first time, online. So at New Year, January 2012, I went on to their site RNA.org/NWS and got all the information I needed, and at two minutes past midnight on the second of January I hit the button to get on the scheme. They only take two hundred and fifty new writers in total on the scheme and that includes the existing members going through the scheme who haven’t yet published but wish to renew. So places are like gold-dust. Hurrah, I received an email to say, I’d been accepted and threw my determination in to gear. That day, again, in my Writing Magazine, I read an article about a local Creative Writing class run by Elaine Everest (Gracie’s War) called The Write Place. I phoned Elaine and was in the class an hour later. Elaine and Francesca, (who helped with running the class) were also on the NWS so we all had common goals and went to every RNA event we could and attended classes to help with the nuts and bolts of writing and setting writing goals for our novels. Still do in fact. I bought books to help my writing by Sue Moorcroft, Kate Walker and Stephen King to further my goal. My first year, I didn’t complete the novel but sent in all I could. The feedback was encouraging and very helpful. I edited. I then refined the first three chapters and began entering competitions sending them and a synopsis. From this, I got a one-to-one opportunity with an editor who liked my work and asked to see the remainder once it was complete. Of course I worked hard to complete it. It wasn’t easy with all that was happening with Mum’s treatment etc., but, I believed if I gave it everything I could, I would create my own luck. Again I renewed my subscription to the NWS the following year, 2013, and got it completed. I then sent it back getting an honest and valuable critique from the NWS and sent it to the editor who had asked for it. And, OMG!!! In November, CarinaUK (Harlequin/HarperCollinsUK) sent me a two-book contract! I was stunned. So, the scheme is wonderful but it’s up to each of us to make it happen. It’s that old adage, preparation is key. I have been welcomed and supported by RNA and the novel class ever since I set my mind to it. It was always my dream to write novels for a living and I will work hard to learn more and write more to keep my dream alive. Three of us in The Write Place Novel class have now become published with our novels. Seventeen of those on the RNA NWS graduated in 2013. So, my message here is, get all the help and support you can because you will, trust me, want to give it back. I want to give a huge thank you to Karen for her two guest blog posts. 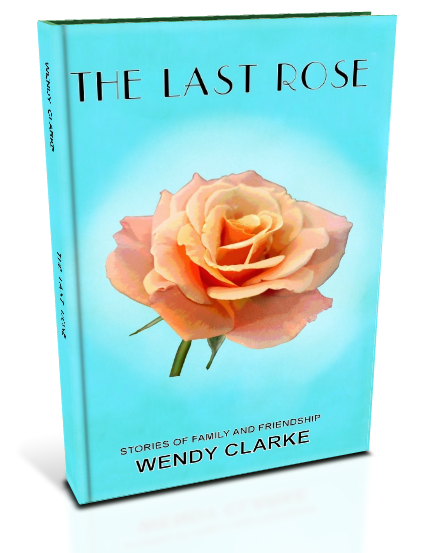 I have learnt a lot from them myself and it has spurred me on to think about getting my novel started and maybe having a shot at the scheme next year. Anyone thinking of doing the same might be interested in the New Talent Award run by The Festival of Writing and supported by the RNA. The winner gets a place on the 2015 scheme. A very warm welcome this morning to new author Karen Aldous. 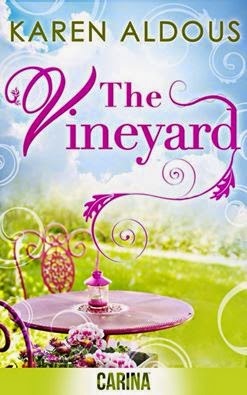 Karen has gone through the Romantic Novelists' Association New Writers' Scheme and as a result has just had her debut novel The Vineyard published. Karen has kindly agreed to write two blog posts for me which will be of interest to new and seasoned writers alike. Today's post will be an introduction to the scheme and the second, on Tuesday 3rd, will lead us along the path from New Writer's Scheme to Karen's eventual publication. If you have also been on the scheme it would be lovely if you could leave a comment or feel free to ask Karen any questions. So now it's over to you, Karen. You’re very kind for inviting me to your lovely blog. May I just say how impressed I am at the volume and quality of content - it's very professionally presented. I am a new author, publishing my first title The Vineyard, and I would like to tell you about the Romantic Novelist Association (RNA) New Writers Scheme (NWS). As an introduction to those who are not familiar with it, this scheme was set up in 1962 (although it was not called NWS at this time) to encourage fresh writing talent for romance-themed writers in any genre, and has been further supported since early noughties by Dr David Hessayon whose wife, writer of historical fiction, Joan Hessayon, always supported new writers. The lovely Dr Hessayon wished to leave her legacy and so The Joan Hessayon Award was set up for any writer whose novel has been through the scheme and published with a recognised publisher. The great thing about the scheme is that it allows unpublished novel writers to send their work for a professional critique - normally a considerable cost for most authors. You can send all, or part of your novel before the deadline date of 31st August and a professional writer will read it (for which they are paid a small fee), giving a detailed report on what the novel needs to make it as professional as possible before sending it to a publisher. Writers would be advised to get as much of their novels written as possible so that the whole work is assessed. But from joining, you have nine months to complete the work if it isn’t already started or it can be sent in at any time before, if it’s ready. The earlier you send it in, the sooner you get your report back - remember, the load gets heavier at the end of August. And meeting other authors is another great benefit of joining the RNA NWS. Those on the scheme are welcomed by the RNA to take part in the majority of their events such as their annual conference, award nights and other writer events held around the country and in London. Chapter meetings (and you can go to any region) are fantastic for workshops, talks by professional authors, editors and agents on all types of subjects, whether grammar or structuring or marketing your novel, you gain so much knowledge from their expertise. Plus, you get to meet them! Yes, I’m still in awe as I meet all the lovely talented people - they are so supportive and friendly. I cannot recommend it enough. Thank you so much for this interesting post, Karen and we are all waiting with bated breath to hear how your own journey through the New Writers' Scheme led to you finding a publisher. We look forward to reading your next post on *Tuesday 3rd June* Read it here!